Part of what makes clinical trials efficient and successful are the smart decisions that are made about protocol design, site selection, staff training, technologies used, information provided and so on. Patients’ motivation for enrolment and perception of clinical trials play a key role in this decision making process, and therefore it is imperative that the pharma, biotech and medtech industry professionals have a clear understanding and grasp of it. A clear understanding of these topics would greatly help pharmaceutical companies, CROs and study teams determine the right actions to surely influence clinical trial participation and improve the impressions given off by clinical trials. In this day and age, many impressive innovations in healthcare have occurred, resulting in patients developing increasingly high expectations of their healthcare and treatment choices. To meet these increasing expectations, smart study decisions and understanding become ever so vital. The survey uncovered that on average, patients did not feel that their healthcare providers understood their situation and what it was like to have their condition. Mean ‘perceived understanding’ ratings ranged from 2.9 to 3.4 on a scale of 1 (no understanding) to 5 (very good understanding). The strongest factor influencing the difference of attitude was Age and Marital Status. Those 76 years + and single and married individuals felt most understood, whilst those aged 31-45 or divorced felt the least. Interestingly enough, disease characteristics and history of clinical trial participation had little impact on patients’ thoughts. Many of those who didn’t feel understood stated that they don’t believe medical providers have time to understand them and that they disperse patient care amongst several people resulting in providers only understanding a ‘piece’ of the patient. In regards to motivation and reasoning for consecutive participation, surprisingly again, type and impact of medical condition had little significance. The top 3 reasons were: to contribute to science; learn more about their condition; and financial considerations. Medical condition as well as demographic characteristics did however impact motivation for initial participation. It was found that those with chronic and degenerative conditions were motivated by additional contact and access to superior medical professionals. Those mildly impacted by their disease were motivated by access to free healthcare and those limitedly impacted by their disease were motivated by payment. The survey showed that 67% of people would recommend clinical trials to a loved one. 29% said they were unsure and 4% said no. Those who would recommend said that it is because trial operations are in more sophisticated institutions and the benefits outweigh the risks. Those who said no exhibited concern about receiving ineffective treatment and placebo. They also declared mistrust and suspicion of the clinical research industry. Clearly then, an area which demands major work is patient confidence. The type of information that patients stated they were or were not confident in came as no surprise. The survey showed that the highest level of confidence was in information regarding the right to withdraw, procedures and possible benefits. The least level of confidence was in treatment alternatives, risks and side effects and doctors’ motivation. A more intriguing discovery was that patients generally had a good level of confidence in compliance, care and ethics of the site study teams. Scepticism came regarding the morality of pharmaceutical companies and the degree to which they cared about the patients. However, they also stated that their confidence increased when their opinions were accounted for during protocol and operational design. Their confidence also increased when there was clear transparency at every level during study implementation. Although patient interest in treatment options has increased over the years, consideration of clinical trials as a favourable option is still not a popular enough notion. The survey carried out by AQC has shown that a major part of the problem lays in the fact that patients do not feel understood and have little confidence in the integrity of pharmaceutical companies. Clearly the healthcare industry needs to do more to incorporate patient voice in study design and more time must be devoted to developing patient physician relationships and communication. Denise Calaprice-Whitty, Jennifer Byrne, Jeremy Gilbert. Bridging the Gap for Better Patient Engagement. 31 May 2017. 18th August 2017 <http://www.appliedclinicaltrialsonline.com/bridging-gap-better-patient-engagement?pageID=1&gt;. It is widely known and understood that the no. 1 cause of delays in clinical trials is inefficient patient enrolment. The problem has become widespread and does not show any signs of abating. According to a TUFTS analysis, 48% of investigative sites either under-enroll or fail to enroll subjects. This leads to prolongation of study timelines, delayed marketing authorizations for important drugs and very significant financial losses for pharmaceutical and biopharmaceutical companies. To rectify the patient enrollment gap, much time and effort is spent on advertisement for participation in clinical trials. The use of traditional and social media in direct-to-patient advertising of clinical trials is well established and popular in areas such as the United States, but the problems regarding delays in enrollment are not ceasing. This clearly indicates that new strategies should be sought out and implemented. Many sponsors and CROs have tried to increase patient enrolment rates by engaging external physicians. EC/IRB-approved principal investigator (PI) letters to colleagues and other physicians is a well-known example of such attempts. However, in reality, PIs typically lack both time and motivation to fully engage in building and managing a referral network. Even when external physicians respond to a PI’s letter and try to refer patients, without proper organization and support, many of these patients simply never reach the investigative sites. Some useful data illustrating the current state of engagement of referring healthcare professionals comes from a 2017 Tufts CSDD survey of 2,000 nurses and physicians. It was revealed that 70% and 90% of them are comfortable with discussing clinical trials with their patients but less than 0.2% actually do so. The main reasons for this, according to the Tufts impact report, are that: Physicians and nurses have limited information about the relevant clinical trials, they do not have enough time, and poor communication and co-ordination between the parties involved in the referral process makes it inefficient. This firmly suggests that supportive strategies should be developed, which will create a system of support for external physicians’ referrals and improve communication between referring physicians, sponsors and CROs, and study investigators. A new, innovative strategy which targets these problems, is ePatientFinder’s Clinical Trial Exchange™ platform. On the platform, patients’ electronic health records (EHR) and information regarding ongoing trials (filtered by geography and specialty) are matched and brought to the attention of physicians who have suitable patient resources. The patients identified through the system, are invited by physicians for a discussion and personal pre-evaluation which makes sure that the patients who are eventually referred are highly qualified and willing to participate in clinical studies. We here at Clinical Accelerator and ClinAccel.Net have always valued the role of external physicians in effective patient enrolment campaigns. Having worked in the patient enrolment support field for many years, we have developed an enhanced patient enrolment model involving a large, ever-growing network of referring physicians working in all major therapeutic areas and our PEMs (patient enrolment managers) who identify relevant external physicians, help them with patient identification and manage the whole referral process. They ensure streamlined and effective communication between the referring physicians and study investigators and take care of simple but important tasks such as patients’ transportation to clinical sites and remuneration for their spent time. Rather than focusing on direct-to-patient advertising campaigns, our focus is on patient information campaigns delivered by our partner physicians who care medically for the patients we seek for enrolment into clinical trials. Our PEMs assist doctors in designing and delivering these patient-oriented campaigns and providing them with IRB-approved supporting materials which are typically used within healthcare institution environments. The end result of taking full advantage of referring physicians’ untapped potential, is that qualified patients are identified, screened and referred in high numbers and at speed, leading to faster patient recruitment, more compact study timelines and reduced trial costs. Poor physician and nurse engagement driving low patient recruitment. Tufts Center for the Study of Drug Development Impact Report. Jan/Feb, 2017, Vol. 19 No. 1. Why do rare disease clinical trials face greater challenges and what are some solutions? Over 6,800 rare diseases such as Haemophilia, Tay Sach’s disease and Gaucher disease are affecting more than 25 million Americans. Still yet, there is limited understanding or knowledge of these debilitating, life threatening and progressive diseases. The Orphan Drug Act defines rare diseases as disorders affecting less than 200,000 people in the United States. Such a small patient population is the exact cause of problems and challenges in patient enrolment. One requirement for the study of human diseases is an appropriate trial design. Randomization and control are considered essential if efficacy is to be attained and bias to be reduced, but for this a large sample must be acquired. However, due to scattered patient populations, variations among disease sub types and simply by necessity, clinical trials in rare diseases enrol small samples and still yet with difficulty. This is partly due to the fact that the majority of rare diseases affect children and reduce lifespan. This leads to families being less likely to enrol their child into a study in which they may receive a placebo. 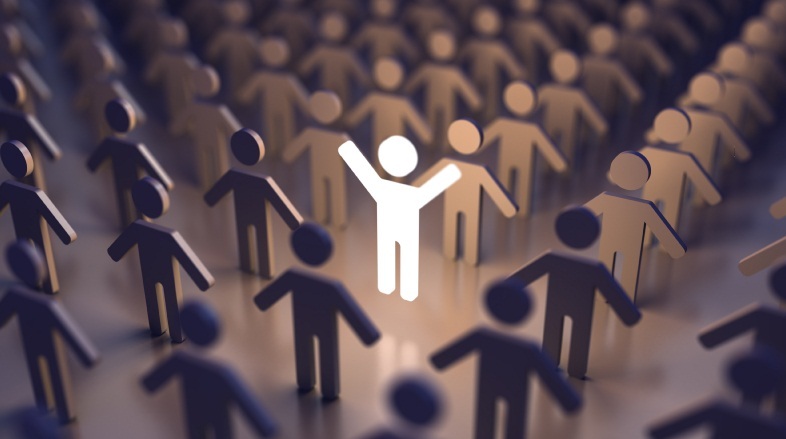 Ethical issues may arise too as children are considered a ‘vulnerable’ population. In addition, problems occur if several studies are being carried out simultaneously as enrolment of a patient in one study may cause illegibility in another. As a result of enrolment challenges, it’s calculated that approximately 30% of phase III trials in rare diseases fail. Clearly, rare diseases require an approach that is tailored to the study goal and specific indications. Two solution that are arguably vital are: in-home Clinical Trial Support and Patient Registries. Traditionally, patients are faced with the inconveniency of traveling to sites numerous times during the study. This puts strain on the patients’ budget and induces drop-outs. In-home Clinical Trial Support however takes into account the patients preferences and difficulties. The nurses travel to the patients’ home instead to carry out the clinical tests, PK sampling, drug infusion administration etc. This saves the patients major costs in regards to accommodation and reduces the number of visits to the sites making the concept of enrolment more appealing. 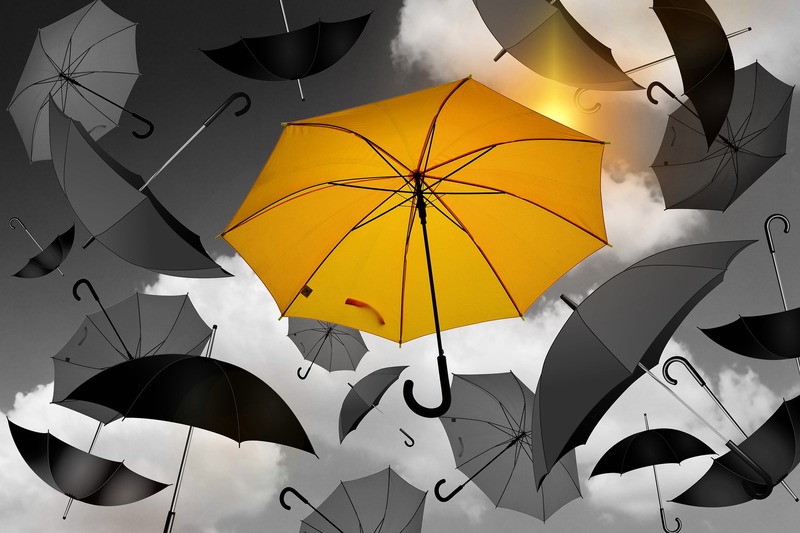 With rare diseases it is often the case that sufficient data or information is unavailable. Patient registries help improve understanding and expand the knowledge base for companies developing treatments. Patient registries are global online data-repositories encompassing patients’ treatment-related health information which are created by several nations such as the U.S and Europe. They allow the development of communities which are able to share information regarding clinical trials which in turn increases the rate of patient recruitment, reduces enrolment delays, and allows better site planning as wider knowledge on the subject is made available. The current status in regards to rare diseases is that we have a significant knowledge gap. In order to reduce this, continued collective efforts must be made to improve the clinical trial protocol design which will ultimately reduce time delays, hasten patient recruitment and most importantly, benefit those suffering from rare diseases. Augustine, Erika F., Heather R. Adams, and Jonathan W. Mink. “Clinical Trials in Rare Disease: Challenges and Opportunities.” Journal of child neurology28.9 (2013): 1142–1150. PMC. Web. 9 June 2017. Khaleel, Samiya. “Rare Disease Patient Recruitment And Retention.” Clinical Leader. N.p., n.d. Web. 8 June 2017. Leavy, Michelle, and Richard Gliklich. “Patient Registries and Rare Diseases.” Applied Clinical Trials. N.p., 2011. Web. 8 June 2017. Stevenson, Danielle. “Clinical Trials for Rare Diseases – Finding and Keeping Patients.” BHD Foundation. N.p., n.d. Web. 8 June 2017. Tirunagari, Sreedhar. “Rare Disease Clinical Trials‘Patient Recruitment Challenges.’” Global Health Trials. N.p., n.d. Web. 8 June 2017. Douglas, February 28, 2017 – Clinical Accelerator, a clinical contract research organization with operations in Central and Eastern Europe announced today the separation of its operations into two divisions. The clinical operations division will continue functioning as Clinical Accelerator, while a new dedicated division operating under the name ClinAccel.Net will be devoted to expanding a regional network of high enrolling investigators and supporting sites, and to designing and implementing proactive, regionally validated strategies of patient enrolment and retention. Dr Nikolai Nikitin, CEO of Clinical Accelerator, stated, “Through this evolution, we will enable a deeper focus on the hugely important tasks of identifying and enrolling patients into clinical studies. The environment for patient enrolment is becoming ever more competitive throughout the world. It also affects the so-called emerging regions, such as Central and Eastern Europe where competition for patients and investigators has significantly intensified in the recent years. Clinical Accelerator is an independent clinical trial management organization operating principally in Central and Eastern Europe, Russia, Ukraine and CIS countries. The organization offers a broad range of clinical trial services together with dedicated patient enrolment support to worldwide clients in the pharmaceutical, biotechnology, nutraceutical and medical device industries. Clinical Accelerator’s model of operation is designed to achieve significant cost savings for its clients and to guarantee compact timelines for patient enrolment, with a firm focus on the quality of clinical trial data. CliniAccel.Net is a network of investigative and supporting clinical trial sites and a patient enrolment organization with a special focus on the region of Central and Eastern Europe. ClinAccel.Net helps pharmaceutical, biotech and medical technology companies as well as CROs to accelerate implementation of clinical trials through shorter start-up times and through faster patient enrolment. ClinAccel.Net improves efficiency and patient enrolling capacity of clinical research sites by optimizing their systems and procedures, and by employing a dedicated staff of patient enrolment managers who design and implement effective region-specific patient enrolment and retention strategies. Previously we looked at data from the European Medicines Agency, which showed the increasing role since 2005 that some ‘Rest of the World’ nations were playing in enrolling patients in clinical trials supplying pivotal data for marketing authorisation applications (MAAs) of new medicines. The rise in such trial activity in Middle East / Asia / Pacific region as well as the Commonwealth of Independent States (CIS) region (12 countries including Russia, Ukraine, Georgia etc.) in particular has been recognised by the EMA as being one of the major trends over the period . One question then arises as to the view that the EMA take on the acceptability of such so called ‘foreign data’ studies and how they maintain quality. 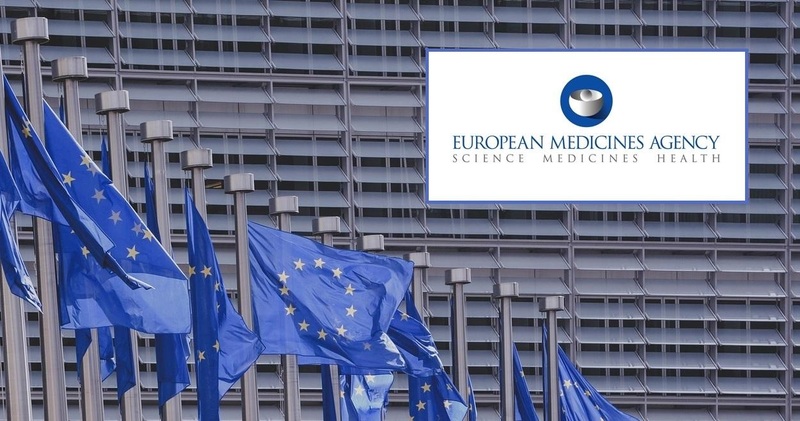 It is also fair for pharmaceutical / Biotech companies, who are considering the placement of a clinical trial or study in a country not under the direct control of one of the EEA or FDA regulatory agencies to wonder whether the data produced in ‘ROW’ territories stands scrutiny and will be credible in the eyes of the global medical community. In the EEA itself, approximately 4,000 clinical trials are authorised each year. This equals approximately 8,000 clinical-trial applications, with each trial involving two Member States on average. Approximately 61% of clinical trials are sponsored by the pharmaceutical industry and 39% by non-commercial sponsors, mainly academia. As reported in a previous post on this site  the European Commission adopted a new Clinical Trial Regulation (EU No 536/2014) on 16 April 2014, repealing Directive 2001/20/EC. The Regulation entered into force on 16 June 2014 but aimed to apply in the future after the IT infrastructure is place ‘no earlier than 28 May 2016’. It has yet to be applied but will become the standard for European trials, which ‘outside’ countries will need to consider in terms of standards required even if not using the regulatory IT infrastructure involved in setting up and running. (For more information, see ). The establishment and control of data quality in clinical trials by third parties as well as by those under direct EU regulation is underpinned by audit and inspection. The European Medicines Agency closely monitors the data that applicants must include in their MAAs on the location of studies and the ethical standards applied for trials conducted outside the EU – the legislatory revisions of 2005 required this to reinforce the emphasis on ethical and GCP standards. The number of GCP inspections – both routine and triggered – in third countries carried out by the inspectors of the national competent authorities of the EU / EEA Member States on behalf of the EU has increased by more than four times between 2006 and 2011. 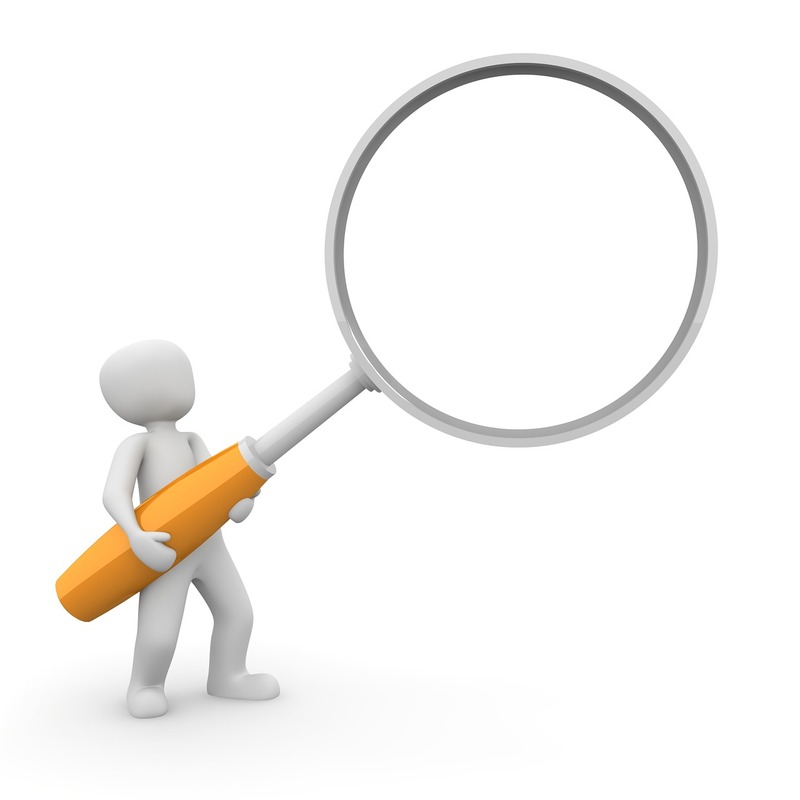 Routine inspections are requested as part of the ongoing surveillance of the quality of studies received in MAAs, while triggered inspections are requested when the assessors identify specific concerns with the report and data on a trial which need a specific investigation by inspection. A total of 357 sites were inspected at the request of the Agency’s Committee for Medicinal Products for Human Use (CHMP) between 1997 and 2011, with most inspections taking place since 2007. The pivotal trials submitted between 2005 and 2011 involved 70,291 investigator sites. Since 1997 up to 2011 the number of inspections in the ROW region increased from 4 in 2006 to 19 and 26 in 2010 and 2011 respectively. The country outside of the EU/EEA /EFTA area with highest number of sites inspected was USA (21.57%) followed by Canada (4.48%), India (4.48%), Russia (3.08%) and Argentina (2.24%) . 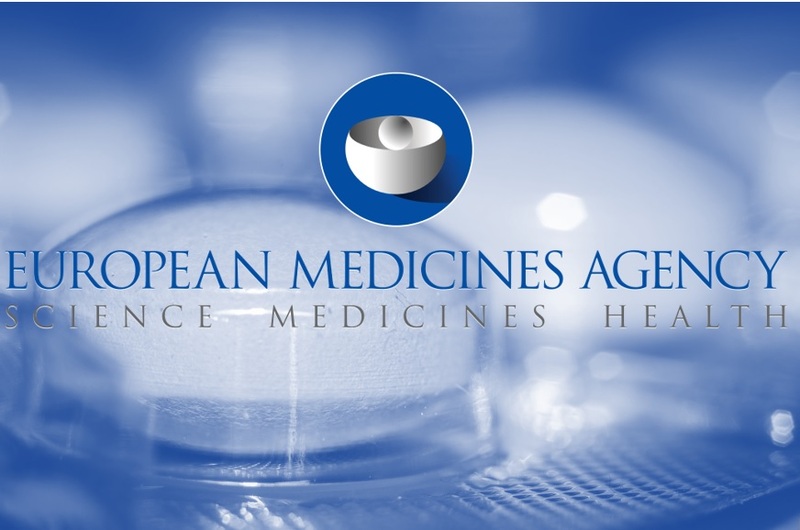 In 2012, the European Medicines Agency published a reflection paper on ethical and GCP aspects of foreign clinical trials submitted in MAAs to the EU regulatory authorities. The paper outlined firm steps for international cooperation in the regulation of clinical trials, with a specific emphasis on initiatives for international cooperation and capacity-building to try and achieve a common approach to the oversight of trials. It also clarified and determined the practical steps by which EU regulators would gain assurance that ethical and GCP standards are applied to clinical trials for human medicines, both during the development and during the MAA phase . It may be interesting to note in the EMA’s recruitment assessment (over the period 2005-2011) that the average number of patients per site in the ROW area was higher than in the two principal regions of EU/EEA/EFTA and North America (17 versus 13 and 10 patients respectively) . This may be one reason that sponsors choose to place studies there: fewer sites to set up and ‘run’ for a planned number of subjects being more efficient and less costly. Speed of initiation through streamlined processes with large numbers of trial-naive patients keen to participate are other reasons mentioned by sponsors along with overall costs without the large overheads. The caveat in all this is that for ‘foreign’ studies whose results might be destined to be vetted by the EMA at any stage for whatever reason one should ensure regulatory, ethical and local site ‘GCP’ standards are maintained to EMA satisfaction. That way the EMA is happy to accept such trial data, which stands scrutiny and engenders international credence. Thus careful selection of trial area (country or countries) and investigator sites is important, whether this be directly by a sponsor (if capacity and local intelligence happens to allow) or by partnering with an experienced and well equipped trial management organisation delegated to oversee the study to whatever degree is preferred. In recent years we have seen an increase in the number of trials conducted for EU marketing authority applications (MAA) in areas other than what was considered to be in the two main European [European Union (EU) / European Economic Area (EEA) / European Free Trade Area (EFTA)] and North America [USA / Canada] territories. In this first of two pieces on the European Medicines Agency (EMA) and its regard for ‘foreign data’ we shall look at the statistics on trial activity in the various territories and in the second piece, how the EMA regards foreign data and aims to maintains the quality. Revisions to pharmaceutical legislation [Regulation (EC) No 726/2004 and Directive 2004/27/EC], which came into being back in 2005, reinforced the emphasis on the ethical standards required of clinical trials conducted in third countries to be included in MAAs submitted in the EU. This raised some concern among regulators as well as in public debate about the level of ethical, scientific and organisational standards such as compliance with good clinical practice (GCP) and also about the available framework for the supervision and audit of these trials. The EMA issued guidance in 2006 providing an overview of key-procedural elements affected by the new legislation that could have an impact on applications or existing marketing authorisations . The EMA groups all non-EU or North America regions into a third ‘Rest of the World’ (ROW) accounting category, itself comprising six zones: Africa; Middle East/Asia/Pacific; Australia/New Zealand; Commonwealth of Independent States (CIS i.e. 12 countries including Russia, Ukraine, Georgia etc. – incidentally, in which Clinical Accelerator principally operate along with some other non-EU countries); E Europe (Non-EU) and Central & South America. It has been monitoring statistics on MAAs with trial activity for the various countries and has published reports on the data, which inform us of the changes in emphasis over the years since 2005. The most current report available, published in December 2013 covers yearly data up to and including 2011; whilst not completely up to date it does reveal interesting information and trends . Table 1 shows some information from 2005 and 2011 abstracted from this report to highlight changes in involvement of patients and number of sites over this period. Between the years 2005 – 2011 almost 62% of the patients in trials submitted in marketing-MAAs to the EMA were recruited outside of the European Economic Area (EEA) and Switzerland, 34% being enrolled in Nth America and the remaining 28% in the other ‘ROW’ territories. Notably, 9.4% of patients were recruited in the Middle East, Asia or the Pacific and another 9.4% in Central or South America. Information on the geographical location of clinical trials allows the European medicines network to allocate resources for inspections where they are most needed, and to promote cooperation with local regulators to ensure efficient supervision of trials to expected standards. – CIS (Ukraine, Russia, Georgia etc. ): an increase from 0.8% in 2005 to 7.5% in 2011. In the EU (+ EEA / EFTA) itself, there was a decrease from 37.0% in 2005 to 31.2% in 2011. Within this region, the contribution of the 15 countries that were members of the EU before May 2004 plus Norway, Iceland and Liechtenstein fell from 32.1% to 19.4% over the observation period. The contribution of the countries that became Member States of the EU in 2004 and 2007 subsequently increased from 4.7% in 2005 to 11.7% in 2011, perhaps demonstrating one of the benefits of becoming EU members. Meanwhile, from North America, there was a decrease in proportion of patients contributing to MAAs from 42.8% in 2005 to 31.5% in 2011. Where there was an increase in number of patients involved in clinical trials, as one might expect, we also see a marked increase in number of sites becoming involved e.g. CIS countries from 72 to 807 sites (proportion of patients in all submissions rising from 1.3% to 6.2%). Increases in trial activity can also be seen in the other ROW territories in terms of patient involvement but, as mentioned previously, the proportion (percentages) of the total are down as the ROW increases involvement. What seems to have driven this emergence of trial activity particularly in areas such as Asia/Middle East and Central & Eastern Europe are somewhat simpler and pragmatic regulatory and approval systems coupled with an abundance of patients very willing to participate in trials with investigators also eager to be involved. This has been considered, by some, to offer a more favourable and less costly trial environment than in the EU and associated states (and N America). Understandably, this increased trial activity demonstrated in these figures – likely to be maintained or increased further since 2011 in new figures when published – does lead one to ask about data quality and adherence to Good Clinical Practice in areas not directly regulated by the EMA or, indeed, the FDA. In the second piece on this topic we shall look at the EMA’s regard to such ‘ROW’ trial data and how it ensures quality and acceptability for successful marketing authorisations.